BlogcompanyHow Often Should I Test My Industrial Fire Extinguishers and Cabinets? Having outdated fire protection equipment may actually be more dangerous than having none at all! 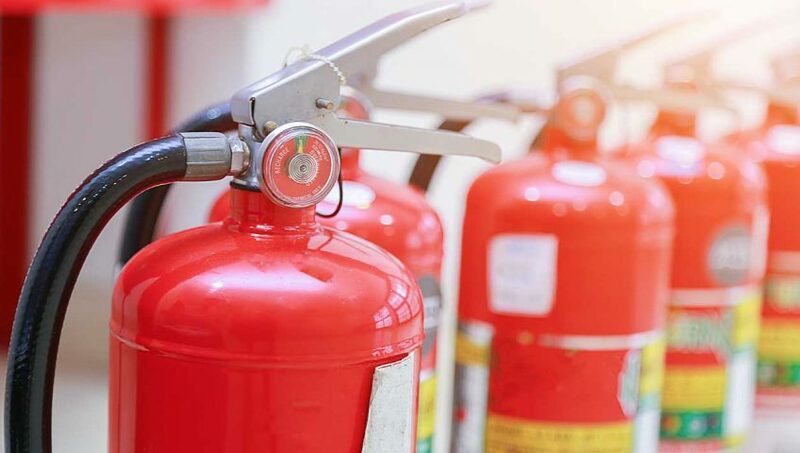 What if you’re counting on your industrial fire extinguisher to protect you in the event of a sudden flare-up — and you realize that it’s no longer charged? This incredibly hazardous situation could be mitigated by simply testing your fire safety equipment on a regular basis. Even the highest quality fire prevention items can lose their ability to stop a fire over time. OSHA recommends testing portable fire extinguishers on a monthly basis, making this a critical step for your operations team. Fire extinguishers should still have their pin in place and highly-visible instructions on the label. You’ll also need to scan for the pressure gauge to be sure it’s still showing green. You should also be able to quickly verify the date of the last professional inspection by checking the tag that should be attached to your fire extinguisher. Larger pieces of equipment, such as your fire prevention cabinets, require a more detailed inspection every 5, 6 or 12 years. The exact requirements are determined by OSHA and can be found in this handy chart. This in-depth examination could include everything from a hydrostatic test to discharging the fire extinguisher and recharging it to ensure that everything is in full working order. Once verified, your fire protection equipment gains an inspection tag. This tag is critical as it allows building codes inspectors to see that the equipment is being properly maintained. 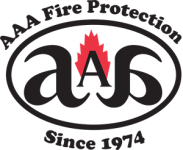 Contact the professionals at AAA Fire Protection to learn more and ask to sign up for our maintenance plan. Contact us for a free, no-obligation hazard assessment today at 855-778-7807 or fill out our quick online form to learn more. Our 24-hour emergency service ensures that you are always fully protected in the event of a fire or smoke emergency.